New York, NY – October 29, 2014 – Colgate®, the global leader in oral care, is pleased to announce the launch of “Science to Cities”, a five-city educational lecture tour led by key industry thought leaders who will present the latest perspectives on evidence-based dentistry. Entitled, “New Perspectives on Evidence-Based Dentistry,” the lectures will offer timely, applicable and educational information featuring new approaches to the practical application of evidence-based dentistry in clinical practice. While registration for the event is $49, all interested attendees are encouraged to take advantage of an early registration offer of $29. To register for Colgate’s Science to Cities tour, please call 844-382-5224 or visit www.ScienceToCities.com. These events are open exclusively to all practicing dentists and hygienists. Colgate-Palmolive is a leading global consumer products company, tightly focused on Oral Care, Personal Care, Home Care and Pet Nutrition. Colgate sells its products in over 200 countries and territories around the world under such internationally recognized brand names as Colgate, Palmolive, Mennen, Softsoap, Irish Spring, Protex, Sorriso, Kolynos, elmex, Tom’s of Maine, Sanex, Ajax, Axion, Soupline, and Suavitel, as well as Hill’s Science Diet and Hill’s Prescription Diet. For more information about Colgate’s global business, visit the Company’s website at www.colgatepalmolive.com. To learn more about Colgate Bright Smiles, Bright Futures®, Colgate’s global oral health education program, please visit www.colgatebsbf.com. Due to Game Six of the World Series, I have a brief post today with a link. 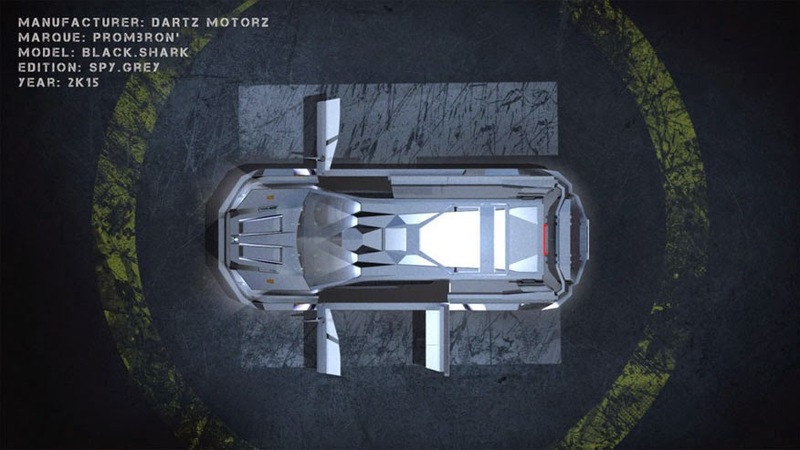 If you're in the market for an SUV that can handle anything, and I do mean anything, take a look at the Black Shark SUV. This thing is amazing, even sporting some type of electric shock device that will jolt those touching the vehicle. Take a look at the full article on Foxnews.com. You'll be impressed, I was! We're rapidly approaching the age of the "smart home". Heck many of us are already using things like wifi controlled lights & thermostats. It's very cool, can help with energy efficiency, and can save money too. So... I was more than a little impressed when I came across the company called Rachio that makes an intelligent sprinkler system control for your home that is called Iro. This device is wifi enabled which allows it to access the Internet to see weather reports for your area. Many sprinkler systems come with a rain sensor that will shut off your system if it is raining, but can it know *when* it's going to rain or what the humidity is? Rachio sets a schedule for you the second you connect the Iro. It customizes the schedule based on your location, taking into account regional characteristics and possible restrictions. Up to 50% of residential irrigation water is wasted. Quick Conserver instantly helps you save water and money on your next statement. 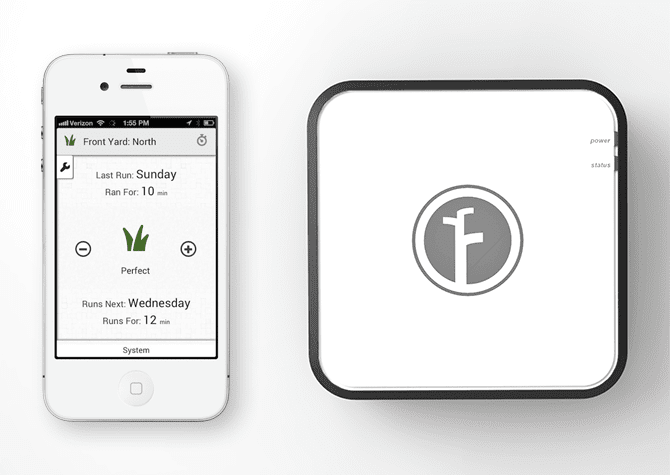 Whether you’re out testing sprinkler heads in your yard or vacationing in the mountains, Rachio lets you control your sprinkler system from anywhere. Weather can be unpredictable. Rachio has your back and adjusts the Iro accordingly so that your system is optimized around rain, wind, and humidity. Soils vary by region and require different watering patterns. Smart-Cycle schedules best practice watering cycles for your unique location. See how much water you saved month-to-month with personalized water reports. Track your usage and become an eco-hero. Interested? Visit the website and learn more! For the past 6 months or so, I've been working on a secret beta test for Orascoptic. The test was for a new magnification system the company is calling Eye Zoom. The idea is a really good one. 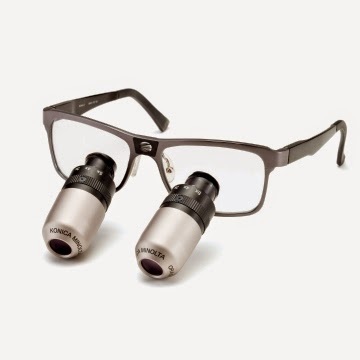 Sometimes you want your surgical telescopes to be more of a "wide angle" meaning a lower magnification level... but sometimes you want your surgical telescopes to be at a high level of magnification. In the past, the only choice you really had was to switch glasses. While it worked, it was cumbersome and who really wanted to be changing glasses on a regular basis? So, the smart minds at Orascoptic came up with Eye Zoom. By simply turning the silver barrels in the photo above, you can vary the magnification level from 3.0 to 5.0. Quick, easy, and efficient. For hygiene exams, I would dial them back to a lower level and zoom in if there was something I wanted to take a closer look at. After the exam, as saw patients for procedures, I would dial them back to 5.0 so that I could deliver treatment at the magnification level I was used to. Over the summer, we went through a couple of different beta setups and I can tell you that the finals work well, are comfortable, and have incredible optics!!! After nearly 6 months of near daily use, I can state without a doubt that this product is highly recommended!!! JADA Live Coming to the ADA Building in Chicago... Tomorrow! See You There!!! Tomorrow, myself and 3 other digital imaging experts will be at the ADA Building in gorgeous downtown Chicago to bring JADA Live to The Windy City. We've been fortunate enough to have been able to bring this event to several other cities around the US and we've had a tremendous amount of positive feedback. This is a great and fun event full of lots of important and practical information which you won't want to miss. Also, my fellow presenters area a fun and intelligent group that do a great job of presenting the info in a way that will keep you fired up and following along all day. The publishers of The Journal of The American Dental Association bring you JADA Live – a live CE seminar offering up to 6.5 hours of ADA CERP credit. This full-day event promises to be relevant and practical with the best and latest information to help you provide better care for your patients. 9:00 a.m. - 9:05 a.m.
9:05 a.m. - 10:30 a.m. Energetic speaker who loves to educate audiences in her ever-expanding use of technology in her practice. A 1989 graduate of the University of California, San Francisco, School of Dentistry, and longtime active volunteer in organized dentistry, Dr. Brattesani has served as president of the San Francisco Dental Society and as a council chair of the ADA. In 1994 she served as a woman's spokesperson for the ADA, and in 1996, Dr. Brattesani received the prestigious ADA Golden Apple New Dentist Leadership Award. Dr. Brattesani lectures nationally on technology in the dental office focused on improving the patient positive experience. She also lectures to dental students at the UCSF School of Dentistry on the challenges and benefits of the dental profession. She maintains a busy general private practice in San Francisco. Passionate about using technology to enhance patient care. Chief Dental Editor of Dental Products Report. Doctor Flucke was born and raised in Kansas City. He received his Doctor of Dental Surgery degree from the University of Missouri - Kansas City in 1987. He has practiced in Lee's Summit since 1989 and was pleased to open his new state of the art facility in 2007. Dr. Flucke's passion is technology and he is always looking for the latest development to benefit his patients. His knowledge on technology makes him a frequent lecturer at major dental educational events, contributing editor to dental publications, and an internationally recognized opinion leader. Uses and teaches 3D Cone Beam Imaging. Will talk about the basics of cone beam imaging, and its use in implants. Dr. Guttenberg is an oral and maxillofacial surgeon, practicing the full scope of his specialty in Washington, DC where he is Director of the Washington Institute for Mouth, Face and Jaw Surgery. He is a Diplomate of the American Board of Oral and Maxillofacial Surgery and a Fellow of the American Association of Oral and Maxillofacial Surgeons and of the American College of Oral and Maxillofacial Surgeons, of which he is currently the Immediate Past-President. Dr. Guttenberg is a member of the teaching staff at the Washington Hospital Center and is the chairman of its Oral and Maxillofacial Surgery Residency Training and Education Committee. He is a frequent lecturer throughout the United States and abroad as well. Dr. Guttenberg has written numerous scientific articles and book chapters which have been published in the dental and medical literature. Has a passion for teaching about sleep apnea based on his own experience. Dr. Quintero is an orthodontist in private practice in South Miami, Fl. He received his DMD degree from the University of Pittsburgh and degree in Orthodontics and a Master’s of Science in Oral Biology from the University of California at San Francisco. Dr. Quintero holds faculty positions at The L.D. Pankey Institute and Miami Children’s Hospital, Department of Pediatric Dentistry. He sits on the Board of Directors of the Baptist Hospital Foundation and is past president of the South Florida Academy of Orthodontists. His academic and clinical interests are applications of 3D craniofacial imaging and airway management in orthodontics. He publishes and lectures on the subject regularly. You will receive 6.5 units of continuing education credit upon successful completion of this course. American Dental Association is an ADA CERP Recognized Provider. 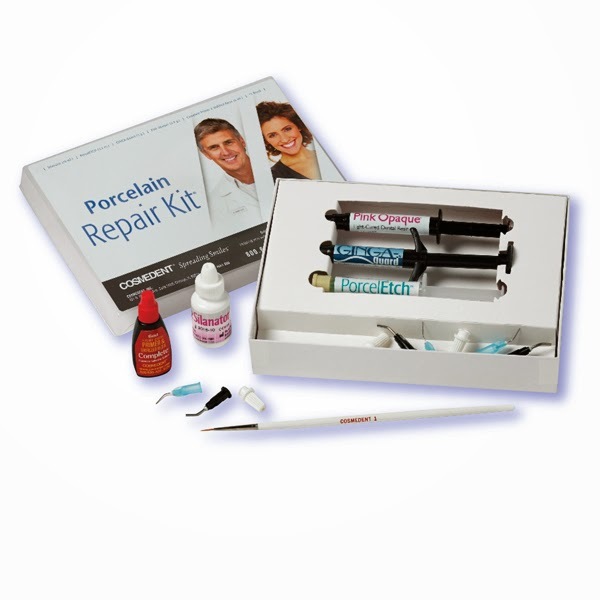 Cosmedent’s new Porcelain Repair Kit makes it fast and easy for dentists to achieve long-lasting porcelain repairs. This kit will help dentists mask metal and dark grey with Pink Opaque, protect the gingival tissue from damage and patient sensitivity with Ginga-GUARD, etch and silanate to enhance the bond to porcelain and create long-lasting adhesion with Cosmedent’s COMPLETE bonding adhesive. To order call a Cosmedent Customer Care Representative today at 800-621-6729 or visit Cosmedent.com. You can also order by going directly to the website from this link. Malvern, PA (October 20, 2014) – DentalEZ® Group, a supplier of innovative products and services for dental health professionals worldwide, is pleased to announce its #MyStarHandpiece Sweepstakes. 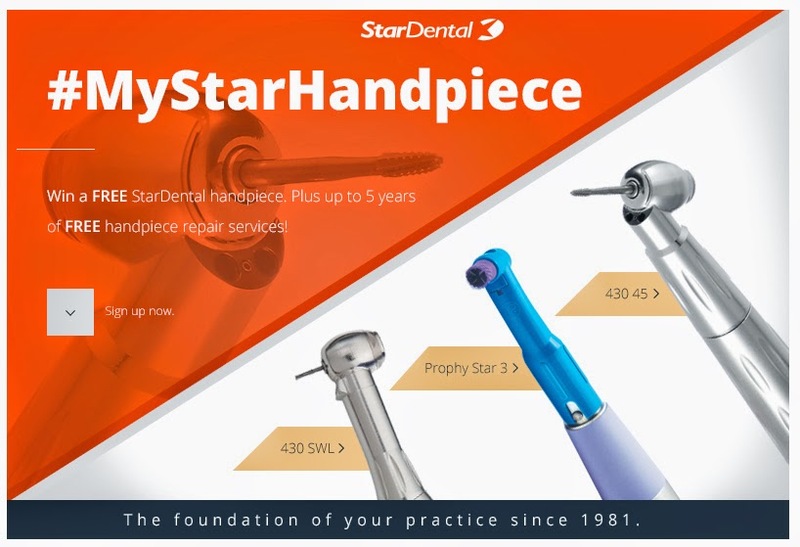 Currently running on the DentalEZ Group Facebook page, winners of the #MyStarHandpiece sweepstakes have the option to choose between one of two grand prizes: a StarDental® High-Speed or Hygiene Handpiece along with five years of free handpiece repair. Open to all U.S. practicing licensed dentists and hygienists, the #MyStarHandpiece sweepstakes runs from October 7, 2014 through December 31, 2014. Entering the sweepstakes is easy. DentalEZ Group Facebook fans can simply visit the DentalEZ Group Facebook page at facebook.com/dentalezgroup and click on the “#MyStarHandpiece” sweepstakes tab. An online registration entry form will appear and dental professionals will be prompted to complete the form as instructed. Non-fans of the DentalEZ Group Facebook page can also enter for a chance to win. Participants can submit up to one entry per day and each submission counts as one entry towards the grand prize. One grand prize will be awarded for every 100 entries (i.e. if there are fewer than 100 entries, one winner will be chosen, if there are 101-200 entries, two winners will be chosen, etc., until a maximum of five prizes are awarded.) The grand prize winner(s) will be selected in a random drawing on or about January 5, 2015 and potential winners will be notified within five days of the drawing. StarDental’s classic high-speed dental and hygiene handpieces offer extraordinary strength and durability that dental professionals rely on. StarDental has a highly-trained customer support and field sales staff that work closely alongside dental practices to troubleshoot any issues that may occur as well as train and install office protocols for proper handpiece maintenance. Visit the new 360 Customer Care online tool for handpiece maintenance and repair. Please visit DentalEZ Group’s StarDental product page for more detailed information on the many features and benefits of the Company’s wide variety of StarDental handpieces. To enter the #MyStarHandpiece Sweepstakes, please visit facebook.com/dentalezgroup. and efficiency of the dental operatory. For more information, please visit dentalez.com. The good folks at Ultradent have been hard at work on their website and have made some pretty incredible changes. One of the nice things about Ultradent as a company is that they truly value their customers and the customer experience. Because of that, they've made changes focusing on making the site easier to use and also formatting it for the changing way we access the Internet. A recent stat says the over 97% of people with smart phones have them within an arm's reach 24-7. Amazing huh? With that stat in mind, Ultradent has made their site mobile friendly for a better experience no matter what type of device you use for access. Improved navigation makes it even easier to access wherever you need to go on the site. Enhanced search functions are now faster than ever and better at providing the search results you're looking for. They have made significant improvements to the quick-lists, making it even easier to order the items you use most. Sounds good, doesn't it? Head on over to the new Ultradent site and take a look around! I hate to do this, but with my beloved Royals in the post season, it's just too hard to see patients, make it to games, AND blog. So... for this week I'm taking time off. Hopefully I can resume next week. Thanks for your understanding and continued reading! Charlotte, NC (October 10, 2014) – Sirona Dental Systems, Inc., the company that pioneered digital dentistry, has recently entered into a unique digital dentistry agreement with Boston University Henry M. Goldman School of Dental Medicine (GSDM) that will enable GSDM to become the first all-digital school of dentistry in the nation, providing dental students at GSDM the opportunity to learn about the current digital dentistry landscape in fully equipped operatories. Specifically, all dental students will have ready access to the latest digital equipment purchased from Sirona in order to experience a full digital dentistry workflow, including both dental and laboratory techniques and applications. The GSDM Patient Treatment Centers will now be furnished with equipment from Sirona’s CEREC®, Schick, GALILEOS and inLab® product lines. A digital dentistry task force was established to transform the dental school curriculum to a completely digital learning environment. The task force set out with a goal to provide students with all of the tools needed for comprehensive treatment plans and efficient delivery of the highest level of oral healthcare using digital dental technologies. It evaluated the necessary facilities, equipment and technical support required to create a seamless all-inclusive system. GSDM sought to make the digital conversion as user-friendly and seamless as possible. The findings of that task force led GSDM to enter into an agreement with Sirona that will enable GSDM to become the first all-digital school of dentistry in the nation. Sirona is able to offer an expansive leading product portfolio, strong technical support and seamless technology integration capabilities. Sirona’s digital technology is used as an educational tool as well as for hands-on clinical experience in the majority of dental schools. ATLANTA–Carestream Dental, a worldwide provider of industry-leading imaging, CAD/CAM, software and practice management solutions for dental and oral health professionals, today announced an integration agreement with Sesame Communications, the leading provider of cloud-based solutions to help dental care providers accelerate new patient acquisition and build patient loyalty. Under the terms of the agreement, Carestream Dental will develop bidirectional integration for Sesame services in its CS PracticeWorks, CS SoftDent, CS OrthoTrac and CS WinOMS practice management software products. In addition, Carestream Dental will provide technical assistance to Sesame Communications for their existing practice management software integrations with Carestream Dental practice management software products. For more information on Carestream Dental’s innovative solutions, call 800.944.6365 or visitwww.carestreamdental.com. For more information on Sesame and its service offerings, call 866.437.5384 or visitwww.sesamecommunications.com. Your favorite health vices—smoking and drinking—may pave paths to HPV, two new studies find. (By the way, you can only get oral HPV through intimate oral contact—not by sharing forks or kisses on the cheek, D’Souza says. It’s unclear whether French kissing, when you’re actually exchanging saliva, also does the trick. )A new study published in a research letter in JAMA looked at detailed health profiles from 6,887 participants in the National Health and Nutrition Examination Survey (NHANES). Those people with higher levels of biomarkers for tobacco exposure in their blood and urine also tended to have a higher prevalence of oral HPV type 16. That’s a strain that causes more than 90% of HPV-related oropharyngeal—or throat—cancers, says study co-author Dr. Gypsyamber D’Souza, associate professor at Johns Hopkins Bloomberg School of Public Health. The main causes of throat cancers are tobacco, alcohol and HPV, she says, but since tobacco use has declined in the U.S., HPV is becoming an increasingly important player. The increased risk doesn’t only come from smoking cigarettes: the researchers found an association with oral HPV-16 and tobacco exposure in general, even at very low levels indicative of secondhand smoke. People who were current tobacco users had more cases of oral HPV-16 than former users or people who had never used it. The good news is that the HPV vaccine protects against HPV type 16, and though it hasn’t been definitively shown yet to protect against oral infection, some data suggest that it does, D’Souza says. Neither study could definitively point to a cause or mechanism, but studies have shown that smoking and drinking have immunosuppressive effects, which can promote inflammation and infection. No posts on Friday or yesterday due to my beloved Royals & their continuing journey toward the World Series (they need to get past Baltimore 1st which will be difficult). Today I want to warn you about a potential phishing attack from hackers who broke into JP Morgan Chase servers over the summer. It seems hackers from somewhere overseas broke in & made off with customer personal data (not account info though). What the financial institution is expecting is the bad guys to begin to send emails or make calls that will have enough personal info to seem real & then making off with your cash or credit card info. 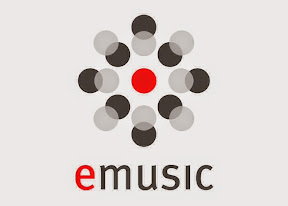 Quite a few years ago, I signed up for an account with a little known Internet music service called "eMusic". I liked the site because they would sell their music in mp3 format so I could play it on any of my devices with "authorizing" them. The only thing I didn't like about the site was the subscription model they used. I paid a yearly fee and then the company basically gave me 1/12th of my fee plus a little bit more to use to buy music each month. The unused money did not roll over, so if you didn't use it all, you lost it. Also, the songs were priced a little strangely (not everything was the same price) so no matter what I purchased, I always left money on the table. However, I was willing to put up with these short comings as I felt the prices were lower than other sites and they had the music I wanted. I also felt like the "use it of lose it" part of the available money sort of forced me to buy music and I felt that was a good thing. So why did I drop my subscription? Well, as of October 1st, eMusic dropped their carrying of music by major labels saying basically that they were going to be a music service that only sold music by indie musicians. This wasn't what I was looking for from them. I liked the fact that they carried the music I wanted on my devices. I wanted to be able to buy Cheap Trick, Nirvana, Motley Crue, and other bands from my younger years. Unfortunately I don't have the time nor the desire to rummage through a site looking for a band with music I *might* like. My life is just too busy for that. So, while I paid a yearly subscription for many years and did so gladly, the company chose a new business model that I just can't support. The music business has changed a lot in the last 20 or so years and so now I guess now I'll be buying from Google, Amazon, and Apple. For the first time in 29 years, my beloved Kansas City Royals are in the playoffs. No post today as I was at the game last night and didn't have time to prepare a post for today.